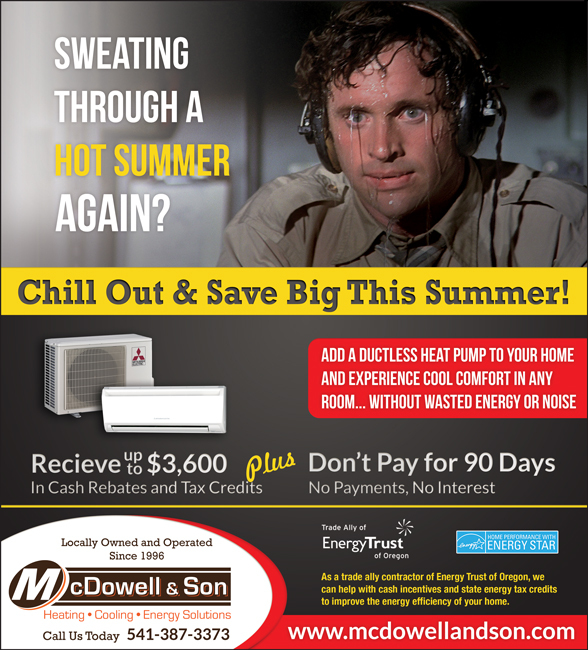 You still have time to add a ductless heat pump to your home this summer and enjoy the benefits of air conditioning. Energy Trust is offering an additional $200-$500 bonus in addition to the $800 cash incentive until November 30th. And of course, Wasco county residents get the best deal of a $2600 cash incentive.